Riverview is located on the lower North Shore of Sydney, 9 kilometres north-west of the central business district in the local government area of Lane Cove. It is situated on the northern side of the Lane Cove River, at the head of Tambourine Bay. Riverview takes its name from its location, which provides a 'view' of the Lane Cove 'River'. Riverview contains a mix of older style residences built around the 1950’s, which are located on large blocks of land. These are increasingly renovated and replaced with newer more modern houses. Riverview, is home to the prestigious boys school, St Ignatius’ College, Riverview. Located in Tambourine Bay Road, it was built in 1880. The grounds include an observatory and ferry wharf. There are several recreation areas throughout Riverview. Marjorie York Reserve, is a playground by the York’s corner shops and is very popular with families. Tambourine Bay Reserve is a large park situated at the end of Tambourine Bay Road and contains barbecue and picnic facilities, as well as a playground. 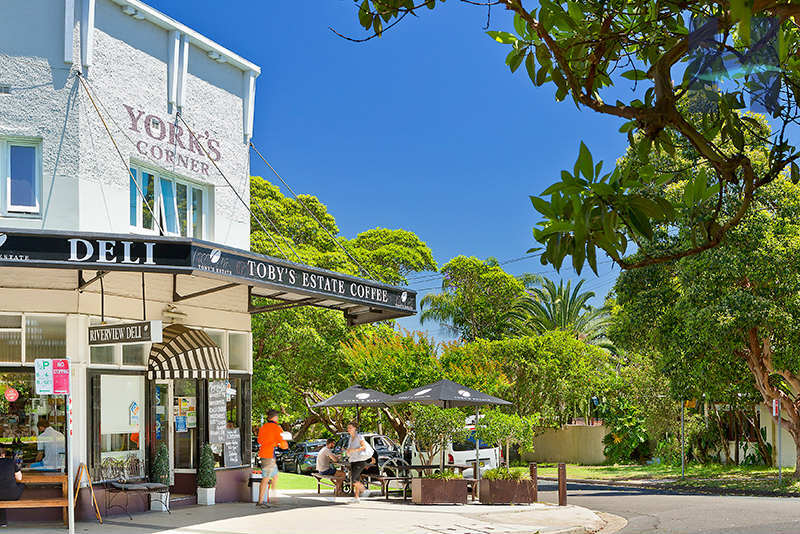 It also offers splendid views over Tambourine Bay Road and is a hub for bushwalks to Longueville and around the bay. Burns Bay Reserve lies in West Riverview and is very popular with young children. Sydney buses provide services between Riverview and Sydney CBD.